Payment should be made via credit card at the time of registration. Virginia, West Virginia, and beyond. 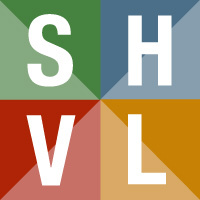 SHVL has over 350 professionals in our unique field that will be in attendance. Listing in the Vendor Directory on the website. Please Note: All Vendors will be asked to provide an item for a drawing at the end of the Vendor Show. Setup time and details TBA. On April 29, only buyers will be allowed in the vendor show as a sneak peek from 10am to 11:30am. All others may attend the vendor show from 11:30am to 3 pm. Door prize drawing for the vendor show will be done at 3 pm. Our Gift Shop buyers are BEGGING for more vendors to purchase from....so here is your chance! Scroll to the bottom. You will see Purchase a vendor show booth 2019, the registration form should show. *Please note that early bird discount applies to first booth purchased only.